Deputies have released the names of those involved in a four-vehicle crash yesterday on McKay Road that killed one person. 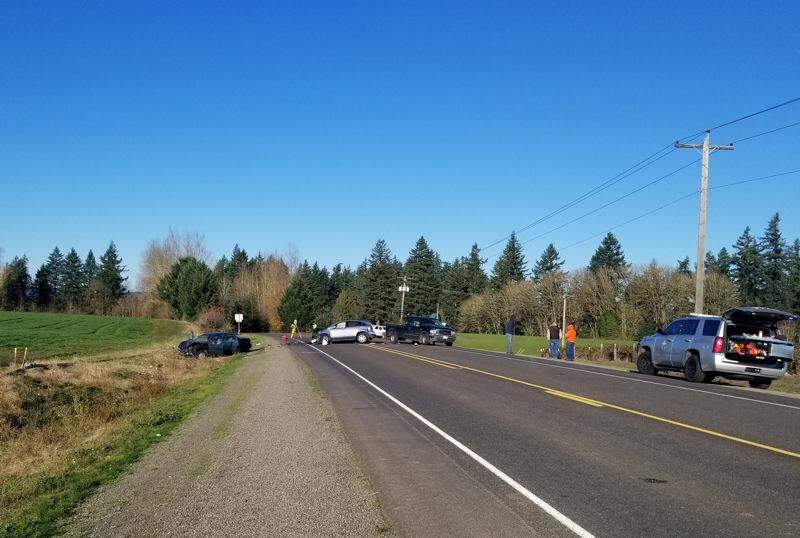 Marion County deputies report that at 7:55 a.m., a small SUV driven by Mildred Schaber, 81, of Newberg, was traveling east on McKay Road when, for unknown reasons, her car traveled into the westbound lane. Deputies later reported they believe the glare from the sun could have been a contributing factor. Schaber's vehicle side-swiped a large work truck, driven by Clifford Erickson, 39, of Grand Ronde, who negotiated the truck to avoid collision by driving into the eastbound lane. But Schaber's car hit an oncoming passenger car head-on, injuring driver Catherine Ashely, 51, and passenger Kacy McCauley, 29, both of Aurora, and sending them to the hospital. Schaber's SUV was then rear-ended by a pickup truck driven by Keith Wright, 84, of Aurora. Both truck drivers were treated for minor injuries at the scene, but Schaber was killed in the collision. She was not wearing her seat belt. In a press release, Marion County deputies urge drivers and passengers to buckle up, noting that, according to the National Highway Traffic Safety Administration, seat belt usage in cars saved an estimated 14,668 lives in 2016. McKay Road between French Prairie Road and Highway 219 remained closed for several hours Tuesday.